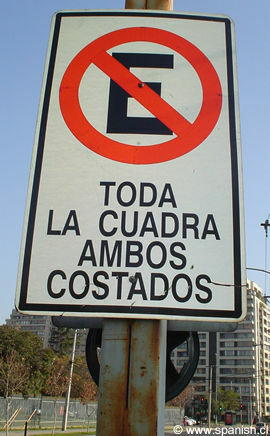 I found this sign on a post on the side of the road in Santiago, Chile. So what does the sign mean? No parking on any part of the entire block on neither side of the road. ¿Es fácil encontrar estacionamiento en tu ciudad? Is it easy to find parking in your city?